Big breeze at a Junior Event? No Problem! 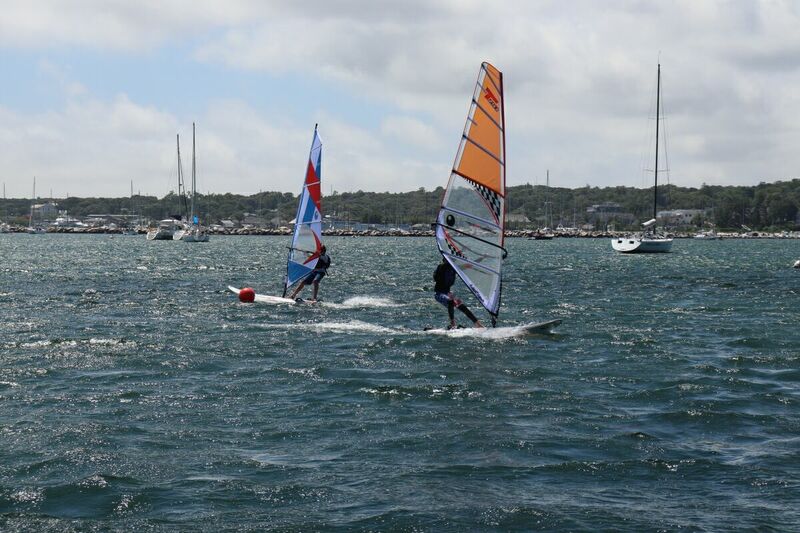 It’s become a yearly tradition in early August for the Vineyard Haven Yacht Club to host a Junior Olympic Windsurfing Festival, in the middle of the summer season on the beautiful island of Martha’s Vineyard, and once again the club tucked away between East Chop and West Chop delivered with awesome sailing conditions! The wind was 15-20 on both days, and event organizer Nevin Sayre ran a combination of standard and slalom courses to provide variety for more than 20 kids and a handful of wily veterans on Konas! The races were held only 1/3 of a mile from the club, making it possible for everyone to switch gear when needed. Plenty of action close to shore! The junior silver fleet had racers who were entirely new to the sport. They received excellent coaching and logistical support as they tried their first short-course racing – in 20 knots, no less! 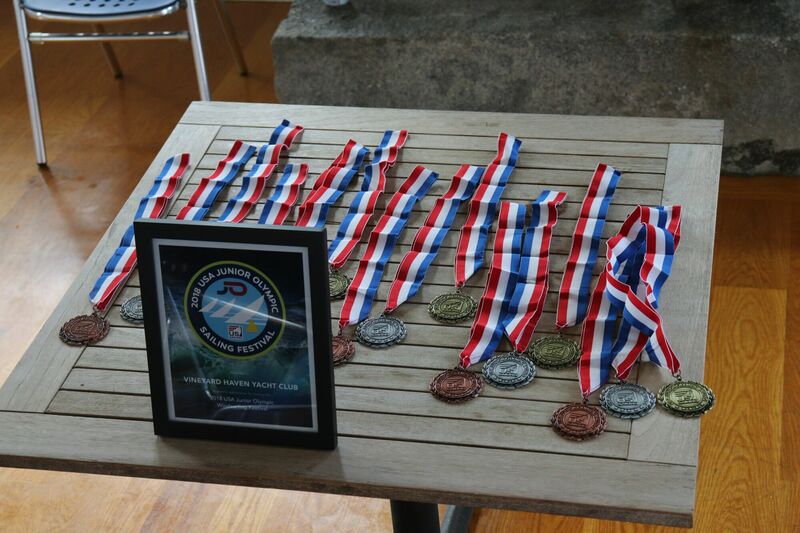 The junior gold fleet had many seasoned competitors, including large groups of racers from American Yacht Club (NY) and Port Washington Yacht Club (NY). Grey skies can’t dampen the kids’ spirits! The winds allowed for exciting planing conditions, and all the gold fleet races were hotly contested at starts and mark roundings. In the end, my kids Simon and Delilah finished 1-2: Simon taking the Under-13 title and his sister the Under-15 title. They were really excited! They finished 2-4 at this event last year, and they practiced hard all season to do well this week! 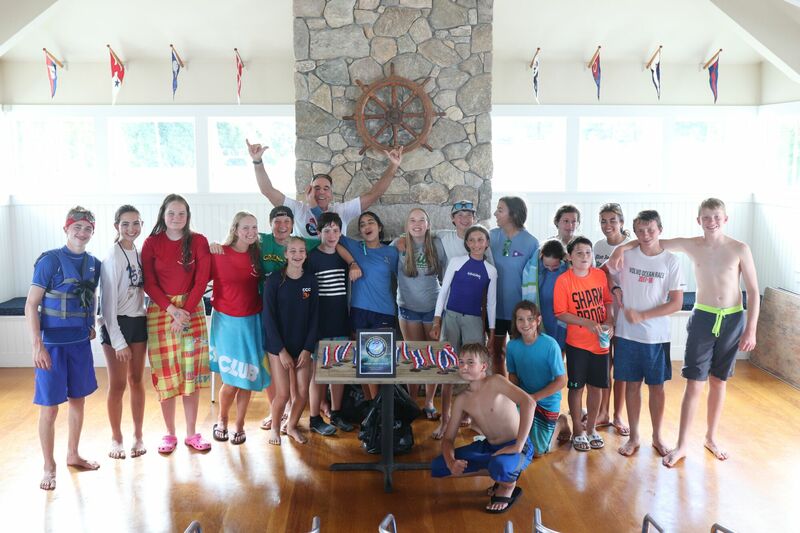 Gabe Cirker, of Port Washington Yacht Club, finished in third place overall, while Daisy Griffin, also of Port Washington Yacht Club, was the Under-17 winner. Breezy in the harbor in Vineyard Haven! The US Junior Olympic Sailing Festivals are a series of events for young sailors who are new to racing and experienced junior sailors with high aspirations. 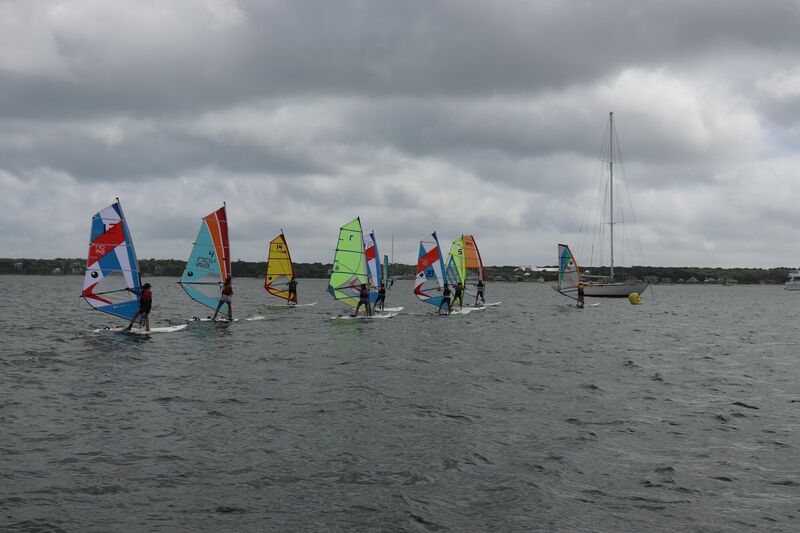 They’re held all year around the country, and yes, a few of those festivals include windsurfing! You can check all the details on this US Sailing page. 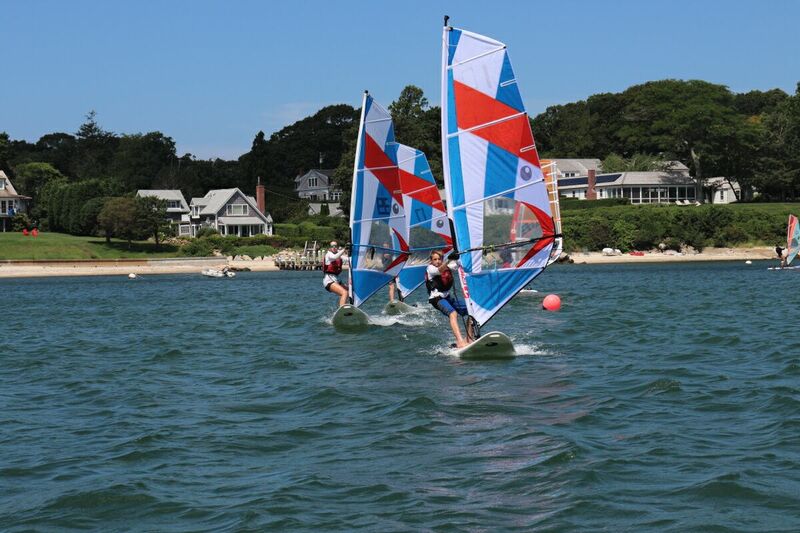 Many of the same young racers will meet again in the Long Island Junior T293 Championships, to take place next week at the American Yacht Club in Rye, NY, and in September at the East Coast Windfest (in Hyannis, Cape Cod)! It’s really nice to have a few local events where the kids can get together and hone their skills. Taking a well-deserved break between races! Simon and Delilah are lucky enough to be coached by world-class windsurfing coaches here on the island (Raz Sayre and Alejandro Monllor), and as they are getting older, they’re starting to think bigger and prioritize windsurfing more. Next step: training hard in the fall and spring in the hopes of heading to major races around the country! Next story Doing the Transpac on a Board! 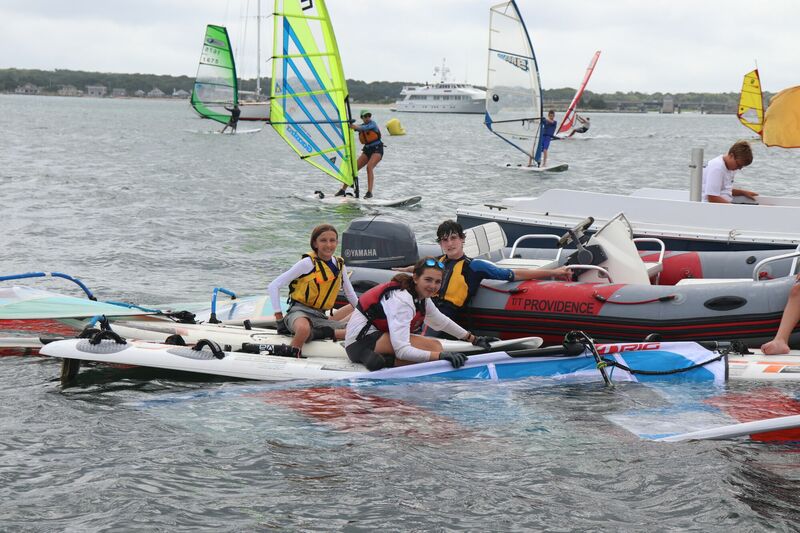 Previous story Guaranteed Fun at the East Coast Windsurfing Festival!